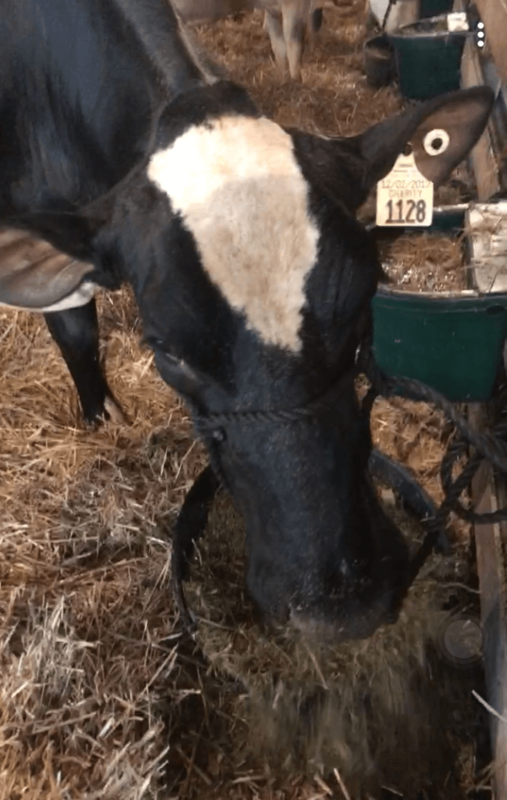 What is Happening at the State Fair Dairy Show? | Winners Drink Milk! Are you visiting the Indiana State Fair on August 12 or 14? If so, you could see the 4-H (junior) or open (everyone) Dairy Cow show. 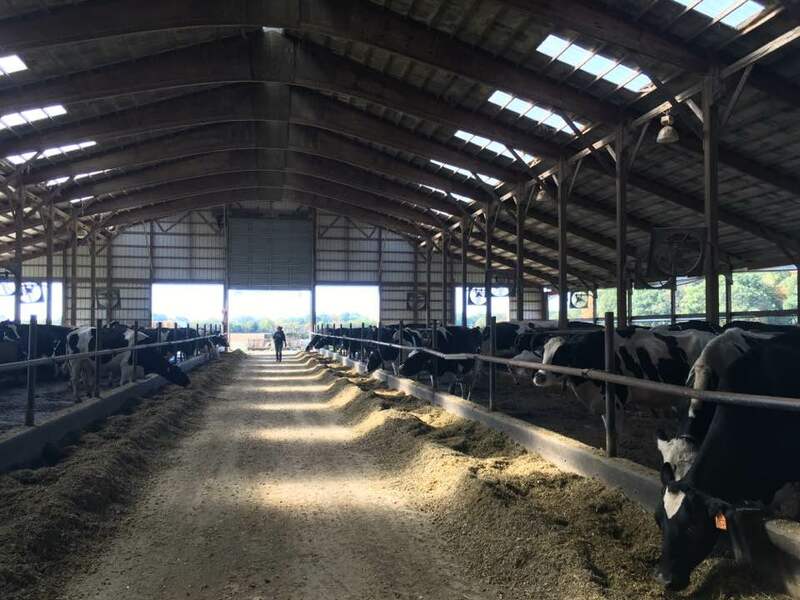 As you walk through the cattle barn, you may wonder what exactly is happening. 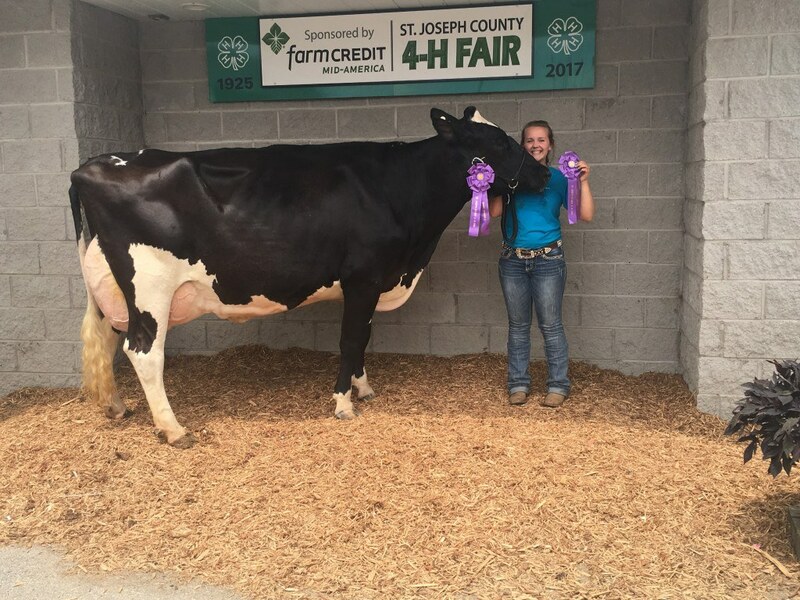 Our guest blogger today, Dairy Ambassador Grace Klopfenstein has your answers. Everyone enjoys time at home, but who doesn’t love spa days? You are pampered, and you get to relax at the spa! Dairy cows feel that way every time they load up in a trailer to go to a county or any show. Don’t get me wrong, cows love spending time in their barn with the sprinklers and endless amount of food. But at shows, they get baths every morning and even get their hair done. I am a 10 Year 4-H member of Saint Joseph County in northern Indiana. I showed dairy, dairy beef, and swine. My favorite project, of course, was dairy. Each morning, I would arrive at the fairgrounds around 5 in the morning to start my chores. My cows would be milked by 5:30 a.m. and then I would start on giving everyone a bath. Between my dairy and dairy beef, I had twelve animals that took me about an hour and a half to clean. After they got baths, I would lead them back to their stalls, so they could lay in their new fresh and fluffy bedding. Breakfast time came next. After they all ate, I collected the feeding pans and ate my own breakfast. Until night chore time, I would clean up after all of my animals. Now that I am out of 4-H, I go to open shows with my family. A week before our show, we spend a day or two giving haircuts to the ladies going to the show. We clip them to let the future judge take a really good look at them and to shave off their winter hair to make them cooler. When the time comes, we load everyone up for a trip and spend our mornings like I described above. On show day, the cows and heifers get their baths and feed like normal. Then, my dad becomes a hair dresser and fixes all of the heifers toplines. We do this so it looks straight, implying they have a strong back. Before they go into the show ring, they get a special spray on them to make them look shiny. After the show is done, our ladies get to have another bath and relax for the night. My family and I truly enjoy spoiling our cows every time we go to a contest. It is a great way to bond with each other and to connect with other cow-loving individuals. I travel to four open show during the summer; therefore, my cows get a spa treatment four times in three months. The next time you go to a fair, make sure to give a cow a good scratch! I am sure she it would only benefit her spa day!